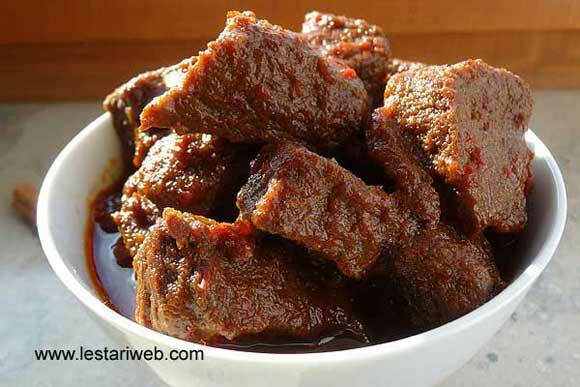 From eastern part of Indonesia, exactly Ternate in Maluku we have a special beef stew called : "Goru Balanga". 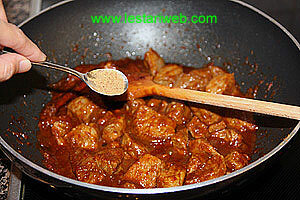 Others than normal Indonesian beef stews which usually tastes so sweet, here is a little bit different. 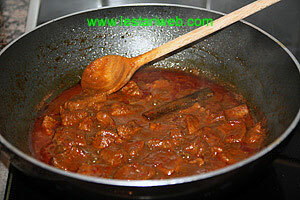 It tastes between sweet & a bit spicy, because they have put chilli as one of spice ingredients. 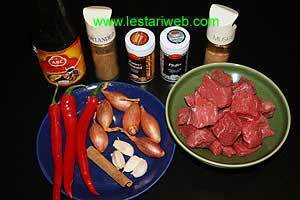 But do not think about fiery hot beef stew, because we use only large chilli not the small scharf ones. Made of beef shank/shin which contains almost no fat, this dish also displays a characteristic of The Spice Islands which once the only source of mace and nutmeg. Slice the beef shank into cubes about 3 cm on a side, wash and set aside to drain. 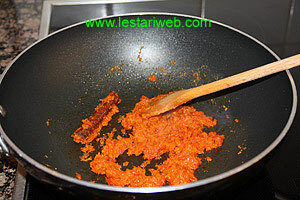 Put all ingredients for the paste in a blender or food processor and blend until smooth. (Add a little bit oil to help the blending process if necessary). Heat 2 tbsp oil in a wok or saucepan. (Don't add oil if already added in a blender). 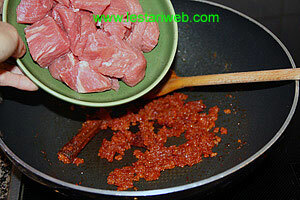 Stir fry the paste & cinnamon stick over medium heat until fragrant ( it takes about 5-10 minutes). Add the beef. Stir fry until the beef becomes harder & has changed colour. 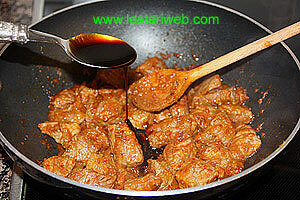 Add kecap manis, pepper & nutmeg. Stir fry until the beef a little bit watery. Add the hot water until all the beef slices are fully submerged. 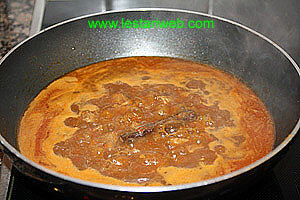 Cover the pan, simmer over low heat until the beef becomes tender & the sauce is thicker. (takes about 45 minutes). 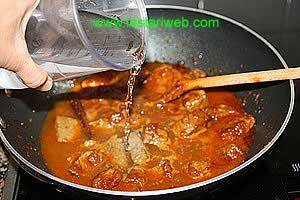 If necessary Add more hot water if the water runs out and the meat is not yet tender. Serve hot with rice.